a) Science and religion can directly interact with each other. Both domains share basic presuppositions and methods and, thus, can either directly support each others assumptions or imply the falsehood of the other domain. 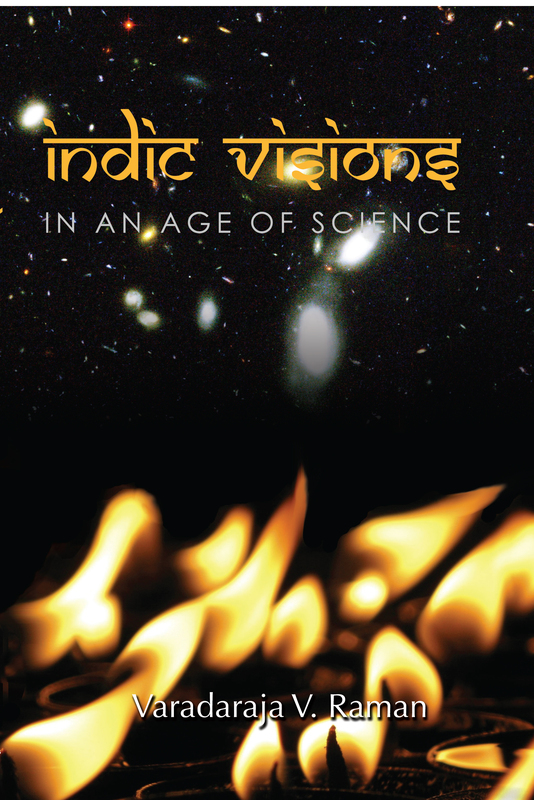 b) There is no interaction between science and religion. Science and religion are domains that are incommensurable and incomparable in method and content. c) Science and religion do not directly interfere with each other but are complementary and related views on reality. Both domains can interact only via further assumptions that are not scientific or theological but have their specific nature. According to model a) science and religion either mutually reinforce or compete with each other. Some religious propositions may support or gain support from science. Big Bang cosmology, for instance, is sometimes interpreted as evidence for the creation of the universe by God1. Other propositions may conflict with a scientific theory and vice versa. The Young Earth Creationist’s assumption of creation of all living species by God, for instance, may show the falsehood of (common) evolutionary theory. According to model b) science and religion focus on two different and separate areas of investigation2. These non overlapping areas could be the natural and the supernatural or the empirical and the existential. Science could investigate what is, while religion prescribes what ought to be. If Wittgenstein’s model of language games means that different language games are incommensurable, then it supports such a view3. Science would then play a language game different from the one religion plays. According to model c) science and religion are different views on reality but nevertheless can, together with certain additional assumptions, step into dialogue with each other. Conflict arises only if one discipline illicitly trespasses its own territory and enters into the field of the other discipline. Model c) can be seen as middle course between a) and b). I will describe this position more accurately at a later point of this paper. In my paper I will discuss model a) quite briefly and c) a little bit more in detail. Model b) can be neglected for my purpose because an interaction between science and religion is excluded from the very beginning. Such a model is not very persuasive, as it does not meet the ordinary self-conception of believers. Furthermore, it rapidly leads to the withdrawal of religion, as religion would be restricted to the mere subjective domain or the assumptions of values. According to model b), religion, remaining tacit about facts in reality, would soon loose its importance. These critical points are, I guess, well known. For model a), scientific theories can offer positive contributions to the explanation of religious assumptions. Theological assumptions are seen as hypotheses that are confirmed or falsified by scientific assertions. For instance, according to some theologians there is a possibility of direct interference from Big Bang cosmology to divine creation of the universe. Big Bang cosmology would directly support the assumption of the creation of the universe by God. I have to admit that if this position is held, it is often done so implicitly, although that position exists obviously. Of course, the opposite situation is imaginable as well, namely a direct contradiction of theological assumptions and scientific theory. The counter-example would be the oscillating universe model in cosmology assuming that a Big Bang is periodically followed by the collapse (Big Crunch) of the universe. This contradicts (at least) the theological assumption of the beginning of the universe. In this case a direct interaction between theological assumptions about divine creation, understood as theories, and a cosmological hypothesis of the beginning and ending of the universe is negative. Accordingly, scientific theories contradict theological assumptions. 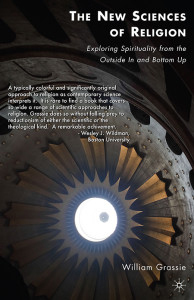 The important methodological feature of the first model of dialogue is that a switching back and forth from scientific to religious assumptions and vice versa is seen as rather unproblematic. Because it is – implicitly or explicitly – assumed that scientific explanations and religious assumptions enjoy (at least) the same cognitive status, direct transitions between science and religion are possible. Science as well as religion builds on basic presuppositions, it is often argued, such as the assumption that nature is explainable by law-models. Accordingly, religious assumptions are hypotheses about reality as well and maybe even testable4. This model of co-operation seems to offer at least the possibility of a positive approach to the science and religion dialogue. Thus it seems to be attractive at first sight. Due to this equation, the model runs risk that no distinction between scientific theories and religious propositions can be drawn in the end. This seems not justifiable, as this position allows suspicious tenets to ride on its model’s back. Young Earth Creationism, for instance, is subsumable under this model. It states that the (common) theory of evolution is false. Rather all scientific evidence speaks for the assumption of God’s creation of all natural kinds6. Young Earth Creationism, thus, puts the theological assumption of God’s creation (of living species) on the level of a scientific explanation. In fact, it turns this religious presupposition into a scientific hypothesis by claiming that the description of God’s creation in the Bible is a factual report. Interestingly, this turn is often only barely recognized, while critics rather focus on Young Earth Creationism’s poor scientific explanatory power. In addition to scientific criticism, I think it is important to notice that Young Earth Creationism is blind for any methodological distinction between religious and scientific assertions. Because of this mentioned insensibility for any methodological distinction between religious beliefs and scientific theories I reject this model of dialogue. On the long run it circumvents or inhibits a fruitful dialogue as the obdurate discussion over creationism shows. There are good reasons to draw methodological distinctions and to argue that a scientific theory serves other functions than a religious belief. Even in our common self-understanding as believers, we distinguish between our scientific and our religious explanations and assertions. Thus, I propose a model of independency of science and religion, for they have to be distinguished – not only in content but also methodologically. But at the same time I aim at showing that these domains do not merely play two incommensurable language games. Rather science and religion (understood as theories and assumptions, not as social phenomena in this paper) are two accounts to reality, which are complementary, although they are serving different functions. Both relate to one reality that is not divided into unrelated parts. Being complementary implies that these domains can and should step into dialogue. Dialogue as I understand it, however, does not mean that science and religion can directly interfere, that is without intermediate steps. One cannot this easily switch from science to religion. Religion is not a hypothesis that gains support from scientific theories. Thus, interaction has to be understood in different terms. I will explain this in more detail in what follows. I take Hare’s proposal to understand religion as a ‘blik’ as a first account in the right direction7. According to Hare religious propositions are expressions of a determinate ‘blik’. A ‘blik’ is an unverifiable and unfalsifiable account to reality and one’s existence. It can be equated with a framework within which our understanding of ourselves and the world we live in unfolds (compare also Ian Ramsey’s concept of ‘disclosure’). A ‘blik’ frames our whole understanding of the world and our actions. Thus, a ‘blik’ is comprehensive: Everything in the world surrounding us and our own life in it are given in a certain attitude, the ‘blik’. A ‘blik’ is something like an attitude. It is not just a set of believes and assumptions. People having different ‘bliks’ do not only see things differently, they have a different access to the same things. The important point Hare wanted to make, it seems, is that everyone has a ‘blik’. A ‘religious blik’ is not something which is built up by an empirical, maybe scientifically coined, outlook of reality. A ‘blik’ cannot be derived from scientific assertions. There are religious and non-religious ‘bliks’ and it has to be recognised that they are all on the same epistemological level. As everyone has a certain ‘blik’, religious ‘bliks’ are not something abnormal. I take Hare’s theory as a good starting point, but it needs further elaboration. First, Hare did not explicate his concept of ‘blik’ in a more substantial way. It remains rather unclear how ‘bliks’ can be further understood. Questions arise that are not answered by Hare, such as how ‘bliks’ have effects on our practical life, how they can be gained or lost, etc. Second, it remains unclear how the differentiation between science and religion can be understood in more detail. Of course, this problem is connected to the first one, although it has further importance in this context. Third, Hare’s concept of ‘blik’ might be open to a non-cognitivist interpretation and thus a non-cognitivist understanding of religion. Hare’s proposal is often interpreted in the way that a ‘blik’ cannot be formulated in assertions and thus cannot be discussed rationally. It seems then that the gain or loss of ‘bliks’ cannot be argued for and that nothing forces us rationally to change our ‘bliks’. However Hare himself understood his concept of ‘blik’, it is often interpreted in a way that comes close to the danger of shifting religion into an a-rational area. Religion is not a form of explanation equal to the scientific one. Rather it has to be distinguished between aim and function of religious and scientific explanations. Although religion is not a set of propositions about empirical states of affairs, it is not independent from experience and from the empirical. Our experiences ought to be integrated in our religious view on the world and religious assumptions ought to be changed according to certain experiences. Even if religious views on the world are not scientific, they are not mere matters of taste. There are criteria of rationality by which a religious view can be assessed. I introduce the term ‘Weltanschauung’ for the explication of a comprehensive understanding of reality. I will, however, not use this term as it is commonly used, but rather as a ‘terminus technicus’. This concept of ‘Weltanschauungen’ has been elaborately proposed by Otto Muck SJ in several writings and presentations. I will refer to his work and his specific understanding of the term ‘Weltanschauung’ in what follows. There are religious ‘Weltanschauungen’, that is religious views on the world and our place in it, but they are not the only ones. Atheism, agnosticism and many more are, in fact, other characterizations of some ‘Weltanschauungen’. A ‘Weltanschauung’ is an interpretation of reality which integrates our descriptive and normative accounts of reality. It is thus a comprehensive explanation of viz. view on the whole reality, although it does not have to be (wholly) explicit8. 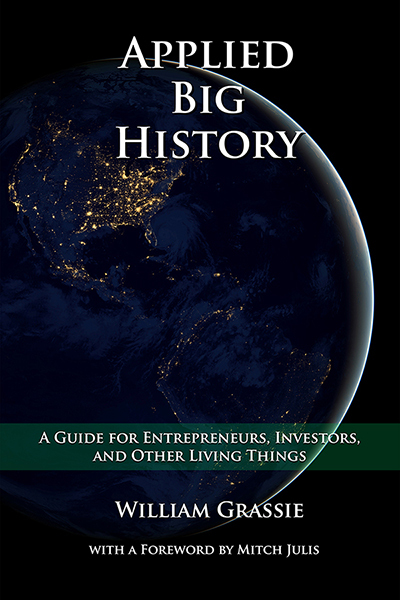 Personal experiences, scientific explanations, assumptions of values etc. are taken together in a ‘Weltanschauung’ forming thereby a comprehensive view on reality: “Weltanschauungen in the sense here applied can be circumscribed as a bundle of life-sustaining beliefs.”9 Such a comprehensive view provides orientation in one’s beliefs and actions. A ‘Weltanschauung’ constitutes by its incorporation of all the applied accounts to reality normative and practical advises, as well. Thus, a ‘Weltanschauung’ enables us for theoretical as well as practical orientation in our life10. 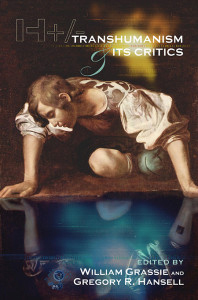 In other words, by this comprehensive interpretation we find orientation in reality and connect different accounts of reality. This is a basis for (most of) our actions. Everyone has such a ‘Weltanschauung’ and no one can live without one. Nevertheless, a ‘Weltanschauung’ doesn’t have to be explicit (in all of its parts). In sum, ‘Weltanschauungen’ are frameworks with basic assumptions that can integrate all our accounts to reality, be they scientific, religious, normative or whatever. Religion in a narrow sense, that is religious assumptions and attitudes (not the whole social phenomenon), can be regarded as part of a ‘Weltanschauung’. (Remember that in my paper I am only concerned about science and religion as cognitive phenomena, that is as theories, assumptions and attitudes, not as the whole social phenomena.) Religious together with other basic assumptions and experiences build up a comprehensive whole integrating other experiences, so that a religious explanation of the whole of reality and religious orientation in it is enabled11. Religions are in (large) parts systems of interpretation of reality and action guidance. Thus, religious assumptions and attitudes are (main) parts of a specific ‘Weltanschauung’. However, religious assumptions are not the only parts of a religious ‘Weltanschauung’. The given core assumptions and presuppositions of our every-day rationality have to be considered as such parts as well. My proposal to regard religious assumptions12 as parts of the core of a ‘Weltanschauung’ should not be misunderstood. It has to be distinguished between practically lived (“gelebte”) and theoretical, declared ‘Weltanschauungen’13. ‘Weltanschauungen’ that underlie a believer’s every-day life need not be explicit – as already mentioned – and should not be confused with declared religious dogmatic systems. They include personal elements and differ partly from dogmatic systems, although, of course, they have common adherence to a special dogmatic religion by which they can be classified. Although the term itself might insinuate that ‘Weltanschauungen’ are mere matter of taste, in fact there are criteria of rationality for ‘Weltanschauungen’ (in the way I introduced that term ‘Weltanschauung’). Only strong naturalistic accounts to reality would deny this (although these are worldviews themselves as well – see below). Subsequent to Ferré two internal and two external criteria of rationality can be given14 for studying a ‘Weltanschauung’ in terms of rational adequacy. In sum, these criteria are: consistence, coherence, applicability to experience and openness to all experiences available. Consistence demands that a ‘Weltanschauung’ should be internally consistent, that is free of contradictions. This criterion seems obvious, as no system that includes beliefs can be inconsistent and rational at the same time. Coherence demands that the beliefs and assumptions of our ‘Weltanschauung’ have to be (logically) interconnected and linked. If, for instance, someone considers science and religion as two unbridgeable and incommensurable spheres, then her ‘Weltanschauung’ is not fully coherent because it falls into two separate spheres. It seems to me, that especially in our practical considerations such unconnected networks of beliefs and experiences lead to irrationality, because we would have no (rational) idea what to do in cases those incommensurable spheres are involved. Applicability to experience demands that a ‘Weltanschauung’ has to be related to our experiences. Our experiences need to be integrated in our Weltanschauung. It is irrational to have experiences that contradict (basic) assumptions of our ‘Weltanschauung’ and to ‘inconspicuously’ put them aside, no longer caring about them. The experiences we have should be compatible with and be explainable by our ‘Weltanschauung’. What I mean with experience here should not be restricted to mere empirical one. Our everyday and our scientific experiences, both empirical in nature, need to be considered as well as our life experience. It follows, that a ‘Weltanschauung’ always has a subjective (which is not an irrational) component, because everyone makes different experiences in his life, thus interpreting reality differently15. Openness demands that a ‘Weltanschauung’ has to be open for all new experiences. If new experiences do not fit in our ‘Weltanschauung’ we risk becoming incoherent because these non-integrable experiences call for another interpretative framework as the one at our disposal. This must be true of all experiences we make. They cannot simply contradict our basic assumptions. More importantly, we cannot ignore a whole domain of experiences just because they are not integrable into our ‘Weltanschauung’. The criterion of openness, however, does not imply that all experiences have to be taken at their face value. Rejecting some of them for justified epistemological reasons or due to other good reasons can be considered as a form of integration as well: These experiences are integrated and judged by worldview assumptions as false. Such a rejection has to be rationally argued for on the basis of assumptions of a ‘Weltanschauung’. It is, however, irrational to put these experiences aside just because they cannot consistently be incorporated into the web of our ‘Weltanschauung’. Of course, these criteria are almost never fully met by any ‘Weltanschauung’. I think, however, that they must be met at least to some extent – although it is very difficult to define this extent more precisely. Furthermore, these criteria can be regarded as imperatives16. If any problem, that is inconsistence, incoherence or not explainable or integrable experiences, arises in a ‘Weltanschauung’, then it has to be modified in such a way that these criteria are met again. In short, I argue that a Weltanschauung although not being testable like a scientific theory has nevertheless to consider these standards of rational evaluation. These standards assure that a ‘Weltanschauung’ is not only compatible with our experiences. But they also present a basis for distinguishing between more and less reliable ‘Weltanschauungen’ in the light of all experiences and assumptions we have at hand. These criteria, however, are not merely theoretically constructed, but they rest upon our everyday practice17: When we try to understand an assertion in its background of a ‘Weltanschauung’ or when we engage in dialogue, we already use these four criteria. They are deeply grounded in our everyday social practice of understanding the counterpart. Thus, although a Weltanschauung is not scientifically testable or falsifiable, it can be rejected through experience or even increase its reliability. Despite its relation to the empirical, a Weltanschauung ought to be distinguished from scientific theories18. Correspondingly I distinguish between two forms of explanation: As shown, ‘Weltanschauungen’ provide an interpretation of reality as a whole. Different approaches to reality – be they religious, normative, scientific, or whatever – need to be integrated in a unified whole. Everyone has such an integrating ‘Weltanschauung’, at least if she does not want to separate her life in unconnected worlds, of religion, ethics and science, for instance. Such incommensurable accounts to reality risk becoming irrational and leading to the loss of capability to act in an intelligible way, as we have already seen. Thus, if a ‘Weltanschauung’ aims at fulfilling the four criteria of rationality it has to provide an integrative explanation of reality. A ‘Weltanschauung’ does not pursue at explaining the appearance of a single event or process. It rather tends to integrate different accounts to and explanations of reality and experiences into a unified understanding of reality. In this way, a ‘Weltanschauung’ builds the frame for all our accounts to reality. This kind of explanation can be called integrative explanation19. Additionally, integrative explanations clarify the status of sciences and their basic presuppositions, which is not a part of science itself. Science instead uses generally prognostic or functional explanations. It aims, generally, at detecting natural laws and regularities enabling predictions of specific future natural processes20. Science explains nature by finding causes and predicting effects. It concentrates on and limits itself to explanations of the appearance of single events and natural processes that fall under law models. Of course, there are also cases, where prognostic explanations are hard to find. In evolutionary biology, for instance, single causal processes in a determinate historical situation are investigated and thus no prognoses are at hand. However, scientific theories aim at showing how and why natural processes took place. This distinction is, obviously, very schematic as also some scientific theories need to integrate different explanations as well (evolutionary theory might again be a good example)21. Nevertheless, scientific explanation is restricted to only a confined area of reality and aims at intersubjectively explaining specific natural processes, mostly through causes and law models. Science is, for instance, not responsible for supernatural explanations. ‘Weltanschauungen’, in contrast, are concerned about the whole reality and one’s actions and so they integrate a variety of different approaches to reality. It seems to me, that distinguishing between Weltanschauungen and scientific theories and integrative and prognostic explanations can provide the basis for a fruitful dialogue between science and religion. The proposal of understanding religion as a Weltanschauung draws a distinction between the explanations of science and those of religion, without thereby interpreting these domains as totally incommensurable. With this distinction at hand, one-sided tenets in contemporary science-religion discussion can be criticised. Naturalism22 and Young Earth Creationism, for instance, are problematic candidates for a dialogue because they seem to mix up integrative and functional explanations. By showing a great veneration for science naturalism is neither a scientific theory itself, nor a direct conclusion derived from scientific results. Rather it provides models of interpretation of the whole of reality on the basis of the assumed epistemological priority of natural sciences. In fact, naturalism makes inferences from scientific explanations to areas where scientific methods are not applicable anymore. Because of its methodological restriction for explaining empirical reality with its specific method of explanation, science itself does not justify such expansions. As such naturalism provides integrative explanation and has thus to be regarded as a ‘Weltanschauung’ and, thereby, judged by the criteria of ‘Weltanschauungen’. Young Earth Creationism, on the other hand, takes (certain) passages from the Scripture as literal. According to this, we have not only all reason to believe in them but they are empirically testable as well. Genesis (or Scripture generally) is seen as a document containing historical descriptions. Thus, Young Earth Creationism equates explanations of religious ‘Weltanschauungen’, in this case the assumptions of creation by God, with scientific hypotheses. With the distinction between science and religious ‘Weltanschauungen’ at hand, however, such expansions of one field into the other or the mixture between scientific and integrative explanations can be rejected. Young Earth Creationism and naturalism, for instance, expand the field of explanation of science or Scripture respectively. These explanations are, of course, justified in its methodological limits of science or religion respectively, but they are not in themselves authorized to rule other domains as well. That means, such expansion is not justified of its own volition, but needs further argumentation. These further arguments are, by the way, not given or at least not convincing yet. 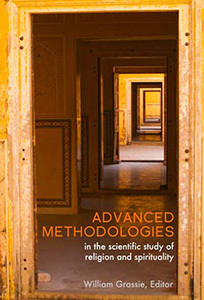 As already shown entrances from science into the field of religion and vice versa can be revealed and criticised on the ground of the distinction between scientific and integrative explanations. This helps to reject one-sided positions that stand in the way of a fruitful dialogue. Second, a religious ‘Weltanschauung’ is well advised to integrate scientific explanations in its system of assumptions and explanations for being rational at all. With other words, scientific results need to fit into the framework of our comprehensive view on the world. The four criteria of rationality guarantee that a reliable ‘Weltanschauung’ remains open to new experiences and scientific insights and hence to modifications or adjustments. ‘Weltanschauungen’ need to ‘integratively’ explain the available experiences and accounts to reality, scientific ones included. They can be judged in their rationality and reliability by the quality of such integration. Scientific results or products need to be part of every ‘Weltanschauung’, religious included, if it wants to be rational at all. A dialogue, thus, might be built in the nature of rational ‘Weltanschauungen’ that integrate science as well. These two points show that the proposal of the distinction between science and religious ‘Weltanschauungen’ is some kind of middle path between positions a) and b) described above: The theory of ‘Weltanschauungen’ enables an understanding of religion that does justice to the rational self-understanding of believers, without thereby loosing sight of the distinction between scientific and religious explanations. On the one hand, science and religion differ in their explanation of reality and thus have to be distinguished. On the other hand, religious ‘Weltanschauungen’ need to integrate scientific data and theories to be rational at all. Thus, religion and science are related and can step into communication. Nevertheless, one needs further assumptions to switch from science to religion. These further assumptions are not scientific anymore, but are rather also part of one’s ‘Weltanschauung’. If, for instance, one takes the Big Bang model of current physics as evidence for the creation of the universe by God, she needs further assumptions. These further assumptions, that everything contingent, for instance, has a cause of its existence, are not physical in nature but rather basic assumptions of a (religious) ‘Weltanschauung’. Integrating different accounts to reality, a ‘Weltanschauung’ needs to link these different accounts by some of its basic assumptions, which are, however, not scientific. The switching from science to religion is not scientific anymore and thus needs not be intersubjective (although the criteria of rationality still need to be met), as different ‘Weltanschauungen’ can differ in their basic assumptions. It might be clarifying here to remark that some or even most positions of model a) have the aim to persuade. They aim at persuading their counterparts of the truth of their own position, mostly by appeal to the authority of science. So do, for instance, naturalism and Young Earth Creationism, as already seen. However, the concept of ‘Weltanschauungen’, as proposed in this paper, has no such aim and seems even useless for the persuasion of the counterpart. It can help to explicate one’s ‘Weltanschauung’, to clear differences and similarities and to reveal irrational parts of one’s view on the world, to draw methodological distinctions and to put different accounts to reality in their places – but it is not helpful for persuading someone of the truth of one’s own ‘Weltanschauung’. Decisions about one’s comprehensive ‘Weltanschauung’ are always personally coined by one’s life and gained experiences. Thus, the decision about one’s ‘Weltanschauung’ always depends on the person and her previous life. It is, for instance, impossible to convince someone with arguments of the truth of theism, if she has never made any relevant experiences in her life that indicate towards such a ‘Weltanschauung’. Such decisions may even be as implicit as the ‘Weltanschauungen’ that are concerned. With this in mind, I hope, religion and science can enter into fruitful and tolerant dialog. 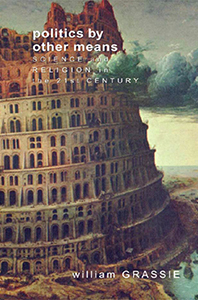 1 Compare Ian Barbour, When Science meets Religion, New York 2000, 57-59. 2 See for instance Stephen Gould, Nonoverlapping magisterial, Natural History 106, 1997. 3 See Barbour 2000, 19. 4 Compare Ted Peters, Anticipating Omega, Göttingen 2006, 99. 6 See Ted Peters and Martinez Hewlett, Evolution. From Creation to new Creation, Nashville 2003, 79-86. 7 See Richard Hare, “Theology and Falsification”, in: Essays on religion and education, Oxford 1998. 8 Otto Muck, Rationalität und Weltanschauung, Innsbruck 1999, 132. 9 „Weltanschauungen im hier zugrundegelegten Sinne könnte man als Bündel lebenstragender Überzeugungen umschreiben.“, my translation, Winfried Löffler, Einführung in die Religionsphilosophie, Darmstadt 2006, 151-152. 11 Löffler 2006, 7-8 and 155-6, Muck 1999, 131-132. 12 I will leave aside the question about the justification of basic assumptions of ‘Weltanschauungen’. For a view, that is in my eyes compatible with the proposal at hand see Nancey Murphy, “Postmodern Apologetics”, esp. 105-110, in: Mark Richardson and Wesley Wildman (Eds. ), Religion and Science. History, Method Dialogue, New York 1996. 13 Otto Muck, Dialog und (religiöser) Glaube, 34, in: Peter Tschuggnall (Ed. ), Religion – Literatur – Künste II. Ein Dialog, Salzburg 2002. 14 Frederick Ferré, Language, Logic and God, New York 1961, 162f; see also Löffler 2006, 157-159. 18 Muck 1999, 133-135, further 226-227. 19 Muck 1999, 134; Löffler 2006, 153-164. 20 See e.g. Muck 1999, 131-140 and 361-372. 21 See Löffler 2006, 164-165. 22 There are too many examples of naturalistic minded philosophers in contemporary discussion to name them all. To name but one, one of the most important naturalists today might be Daniel Dennett. See for example Daniel Dennett, Breaking the Spell, New York 2006, esp. 24-40.